A 1035 exchange can allow you to convert your existing life insurance to long term care life insurance. The 1035 exchange defers the internal build up of gains associated with your life insurance policy. Because of the tax-free nature of long term care insurance, a 1035 exchange ensures the taxable gain disappears if used to pay for long term care expenses. Like life insurance, 1035 exchange rules may allow you to convert an existing annuity into a long term care annuity. This can defer the gains associated with your annuity. 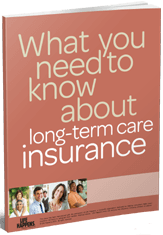 Note that not all long term care insurance policies and companies accept 1035 exchanges. The Pension Protection Act of 2006 provides this advantage of tax-favored long term care insurance payments. Complete the form on this page to request a no obligation long term care insurance quote with provisions for a 1035 exchange. 1 We do not provide tax or legal advice and suggest you consult with your accountant or tax professional.